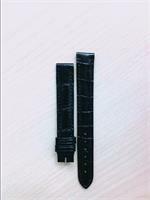 General Watch Co is your source to buy high-end preowned watches, Cartier watch straps, Tag Heuer bracelet, Tag Heuer leather straps, Gucci rubber straps, Omega bracelet, Bulgari rubber strap, Breitling watch bracelet, Corum watch straps, Corum bracelets, Rolex watch bracelet, Rolex watch straps (Rolex accessories only in our store, not in the Internet), watch accesories, we offer the best used wristwatches at discounted prices, our internet store offers 4 years conditional warranty, quality products, and excellent customer service. 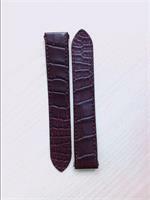 Semi-matt Burgundy Alligator Strap, 19-18mm, length 115-115mm, for DADB (double adjustable detachable buckle) of 18mm, for ROADSTER LM Automatic. 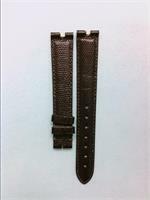 Semi-matte Dark Brown Alligator Strap, 23-21mm, length 115-115mm, for DADB (double adjustable detachable buckle) of 21mm, for SANTOS 100 LM Automatic. 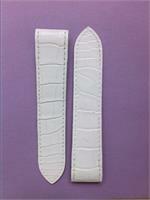 Semi-matt White Alligator Strap, 29-22mm, length 105-75mm, for AB (adjustable buckle) of 22mm, for TANK DIVAN Quartz / Automatic. 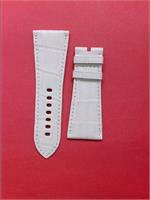 Semi-matt White Alligator Strap, 23-21mm, length 115-115mm, for DADB (double adjustable detachable buckle)of 21mm, for SANTOS 100 LM Automatic. 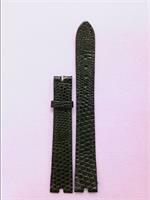 Cartier- Shiny Black Alligator Strap- KD18B037, 20-18mm, for TANK models. 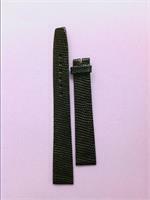 Shiny Black Alligator Strap, 20-18mm, 115-85mm, for ADB (adjustable detachable buckle), for TANK BASCULANTE LM Mechanical ; TANK BASCULANTE XL Mechanical/Quartz ; TANK FRANCAISE LM Mechanial/Automatic ; TANK FRANCAISE LM Quartz Chrono Reflex . 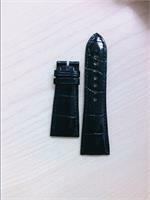 Shiny Black Alligator Strap, 18-16mm, 115-85mm, for AB (adjustable buckle) of 16mm,for TANK LOUIS CARTIER LM version 1 Quartz/Mechanical ; TANK LOUIS CARTIER LM extra-flat Mechanical ; TANK MUST LM version 1 Quartz/Mechanical. 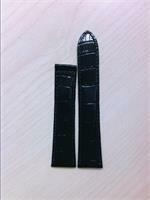 Shiny black alligator strap,24.5-19mm, length 100-75mm, for AB (Ardillon Buckle)of 19mm,for MINI TANK DIVAN quartz models. 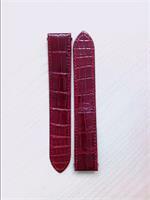 Shiny Bordeaux Red Alligator Strap, 18-16mm, length 105-85mm, for AB (adjustable buckle) of 16mm,for RONDE LC LM Quartz/Mechanical ; TANK BASCULANTE MM Quartz. 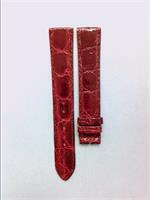 Shiny Bordeaux red Alligator Strap, 24.5-19mm, 105-75mm,for AB (adjustable buckle)of 19mm, for SMALL (MINI) TANK DIVAN. 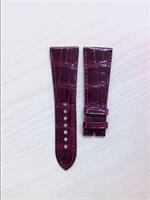 Shiny Burgundy Alligator Strap, 29-22mm, length 115-85mm, for AB (adjustable buckle) of 22mm, for TANK DIVAN Quartz / Automatic. 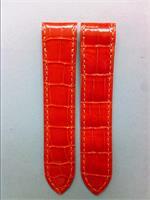 Shiny Orange Alligator Strap, 23-21mm, length 115-115mm, for DADB (double adjustable detachable buckle) of 21mm, for SANTOS LM Automatic. 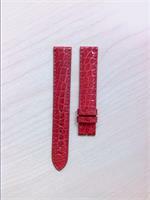 Shiny Red Alligator Strap, 19-18mm, length 115-115mm, for DADB (double adjustable detachable buckle) of 18mm, for ROADSTER LM Automatic. 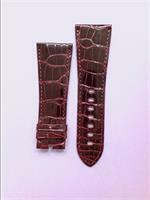 Steel bracelet, 18mm, polished sides,satin center, DADB (double adjustable detachable buckle), for ROADSTER. 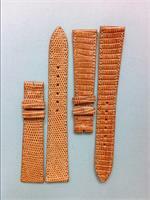 Beige Lizard Strap,16.5-14mm,length 115-85mm,for AB of 14mm,, for TANK BASCULANTE SM Quartz. 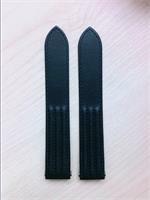 Shiny Black gator Strap,15-14mm,90-85mm, for ADB (adjust. detach. 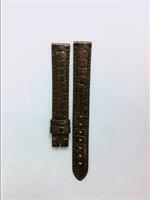 buckle) of 14mm, for DIABOLO SM ; PANTHERE MM ; TANK FRANCAISE SM ; TANK L.Cartier MM Quartz/Mech. ; TANK MUST SM version 1 Quartz/Mech. ; TORTUE SM Mech. ; TANK CHINOIS SM Quartz/Mech. 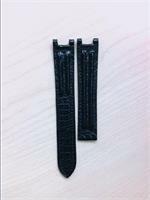 Shiny Black Caiman Strap(006 009), length 105-75mm,for AB (adjustable buckle) of 12mm,for SANTOS DUMONT SM EXTRA-FLAT Mech. ; TANK AMERICAINE SM Quartz/Mech. ; TANK LOUIS CARTIER SM v.1 Quartz/Mech. 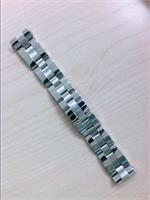 ; TONNEAU LM Mech. 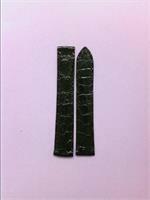 ; TRINITY Quartz; MUST TRINITY Quartz. 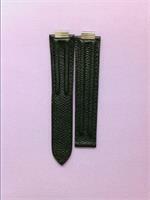 Black granulated Calf Strap,10-16mm, with 21 Must godron-link of 10mm,length 100-85mm, for ADB (adjustable detachable buckle) of 16mm, for 21 MUST de CARTIER XL Quartz. 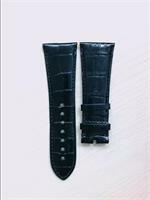 Smooth Black Calfskin Strap with 3 godrons,19-18mm,length 115-115mm,for ROADSTER LM Automatic. 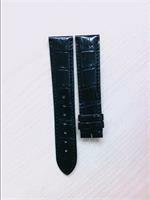 Shiny Black Croc Strap, 13-12mm, length 105-75mm, for AB of 12mm, for SANTOS DUMONT SM EXTRA-FLAT Mechanical ; TANK AMERICAINE SM Quartz/Mech. 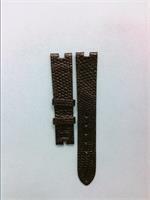 ; TANK LOUIS CARTIER SM Version 1 Quartz/Mech. ; TONNEAU LM Mechanical ; TRINITY Quartz ; MUST TRINITY Quartz. 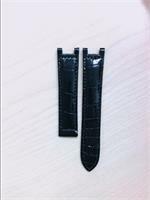 Semi-matte Black Crocodile Strap, 18-16mm, length 115-85mm, for ADB (adjustable detachable buckle) of 16mm, PASHA 35 MM Quartz/Mechanical/Automatic. 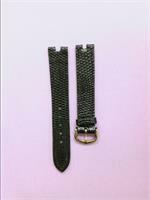 Black Lizard Strap,16-14mm,length 115-85mm,for AB of 14mm, for CARRÉES ATTACHES OBUS Quartz ; TANK LOUIS CARTIER SM VERSION 2 WATER RESISTANT Quartz ; TANK MUST SM VERSION 2 WATER RESISTANT Quartz ; RONDE SOLO de CARTIER SM Quartz. 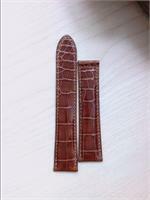 Black Lizard Strap,16-14mm,length 105-75mm,for AB (adjustable buckle)of 14mm,with notch of 4.2/3.6mm,for MUST VLC LM Quartz ; VLC LM 3-Gold Quartz ; VLC LM yellow gold Quartz. 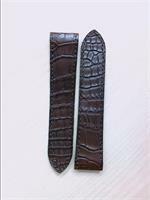 Shiny Black Lizard Strap,16-14mm,for AB(adjustable buckle) of 14mm,length 135-85mm,with notch of 4.2/3.6mm, for MUST VLC LM Quartz ; VLC LM 3-Gold Quartz ; VLC LM yellow gold Quartz. 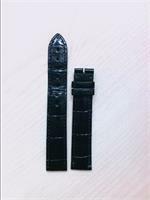 www.rolexrepair.expert / www.preownwatches.com / www.servicioreloj.com / www.oscarvaldes.com / www.watchservicecenter.com a family of the General Watch Co.
©2019 General Watch Co, All Rights Reserved.